Everyone's favorite kind of wizard. If you live in a feudal society where crop failure can result in total existence failure, having someone around who can talk to plants, move trees, and get crops to grow is incredibly valuable. Nobles sponsor them; up-and-coming merchants and landowners want to marry them. Peasants leave them gifts and come to them with all sorts of problems. Alone, among wizards, they are beloved. Except by druids. The garden is the antithesis of the forest. Gardens are shrines to domesticated plants. A big wheat field is impressive, but a garden is a tiny segment of the wilderness made perfect and smooth. Dogs are tamed wolves. Gardens are tamed forests. We tell stories about how real life ought to be, and we build gardens to make nature the way it ought to be. Some ideas stolen from here. Perk: You gain +1 Attack stat and +1 Defense while wielding a quarterstaff. You start with a quarterstaff, a spade, and a good pair of boots. Drawback: You must meditate each morning within sight of natural beauty. Even some mold growing on a rock counts. You must describe this to other players. Druids hate you. A "good pair of boots" takes up one inventory slot, but provides bonuses to climbing slippery surfaces and kicking monsters in the goolies. The meditation portion is very entertaining, especially if the Garden Wizard is played by an actual biologist who is just delighted to tell everyone about the mysteries of lichen and the thirty identical varieties of wintergreen. 1. Permanently change the colour or form of a small plant. 2. Plants grow just a little bit better in a [level] mile radius around you. It takes at least a season to be noticeable. The garden wizard cantrips aren't very impressive, but changing the form of plants is more useful than you might think. Hand someone a rose, then change it to a brilliant blue (to match their eyes). How many people could resist that? Also, the radius of growth is based on your actual level, not the number of wizard templates, so if you reach level 6 you'll cover over 100 square miles. Garden wizards this potent are very, very rare. Target makes another Save against a emotion-affecting effect (fear, anger, sadness, pleasure, pain). You can target yourself. A bit of wood bends or unbends. Straight doors can be warped and stuck. Warped doors can be straightened and unstuck. Wooden-hafted weapons may become unusable or impose significant penalties. Trees can likewise be molded. Allows you to ask a [dice] questions of a plant that you touch. Answer appears in letters on the trunk. Trees are fairly intelligent. They know about weather and have a great sense of time, but they have a hard time differentiating between animals, except by size. They also gossip among themselves, and may have gossip from distant lands. This spell also works on Dryads. You can cast this spell as a free action. You get +1 Defense while you whirl your staff around with both hands. The next attack you make with the staff does an additional 1d6+[dice] damage and counts as magical. This spell lasts for [sum] rounds or until you attack. You can also throw a whirling staff 60' with a standard attack, dealing 1d6+[dice] damage. It does not return. Name a common animal. You now know where the nearest example of the animal is. If the area is infested with manticores, they count as common creatures. R: 200' T: creature D: 0 Target takes [sum] + [dice] damage, no Save. As Garden Wizard, your spell is an invisible blast of force or a green-white bolt of lightning, cast with appropriate hand gestures. Cast this spell on a stone small enough to fit in your palm and then give it a command. It will attempt to follow your commands to the best of it's ability. If thrown at a target, it will get +10 to hit (and deals 1d6 damage). It can also be asked to trip targets when they run past, jump off a shelf when a certain person enters the room, etc. Limited to [sum] small hops or actions. Lasts [dice] hours or until the stone runs out of actions. You touch a tree or [sum] of smaller plants, and they uproot and march to a new location. If you invest 3 or more dice, they march until you tell them to stop. Otherwise, they root themselves when the spell’s duration ends. Trees move 6’/round, smaller plants move 12’/round. 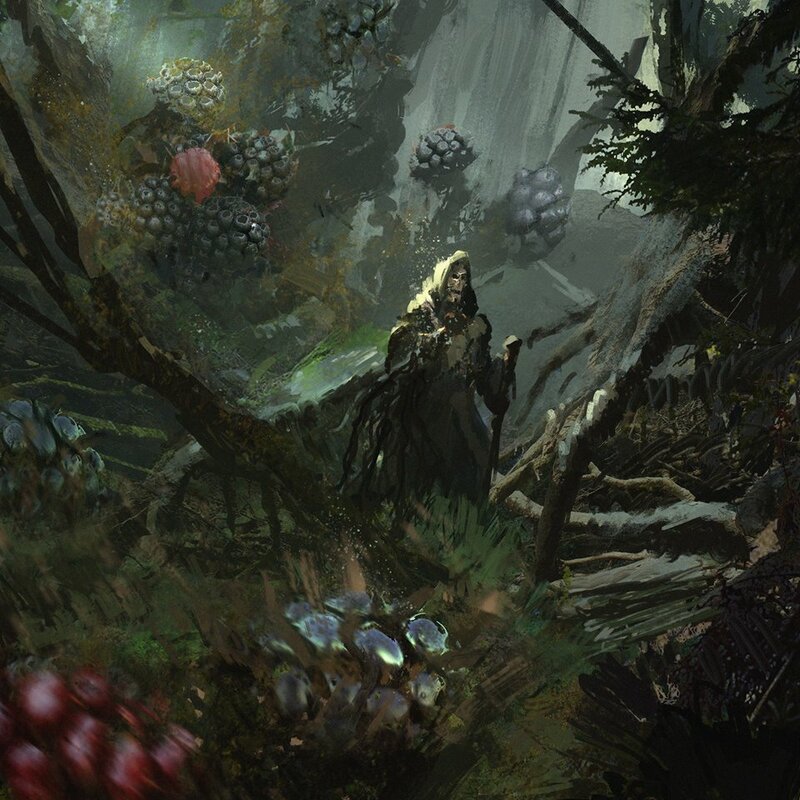 Garden Wizard spells are a mixed bag of area control, direct damage, and utility spells. This class is a solid all-rounder. 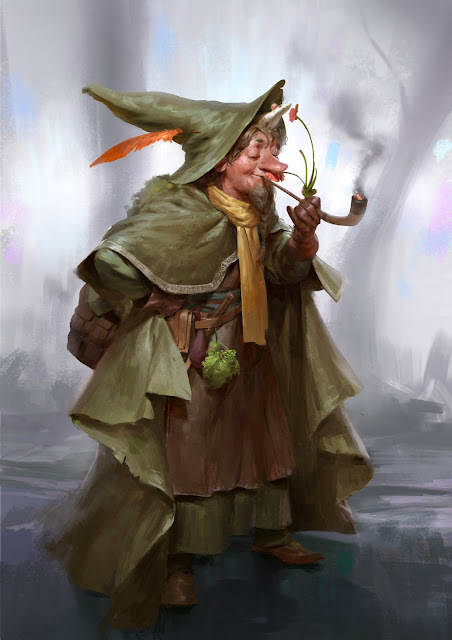 The +1 to Attack and Defense while holding a quarterstaff, combined with spells like whirling staff and magic missile, makes the Garden Wizard a decent fighter, but they never reach the flashy levels of ludicrous power available to some of the other classes. Strangely enough, aside from dengrigraphy, they can't speak to plants. Speak with plants is a spell they need to adventure to learn. 4. Plants wither for 5xd20 feet around you. 5. Save vs Fear against fire for the next 24 hours. 6. Plants erupt from your fingers and toes. Everyone within 50’ must Save vs Dex or be entangled and slowed. 1. Take sufficient fire damage to reduce you to zero HP. 2. You can no longer read maps or symbolic representations of places, or non-magical languages. 3. Your memory fades. You cannot memorize spells. Save every hour or forget every detail of the previous few hours. This doom can be averted by planting 10,000 trees by hand, and tending them as they grow to maturity. You may also journey to the Heart of the Forest, and battle the wild spirits within.